Youtube has turned into the hottest destination for our quest to learn something new, every single day! 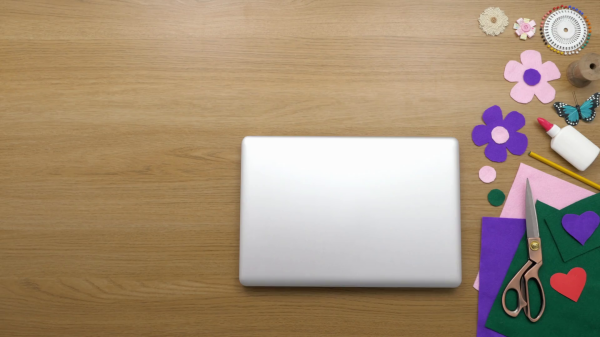 It is chock full of amazingly fun videos, From photography, web development, to science etc…and craft is a no exception. Youtube is actually so much fun, we get to learn and share our creativity, with such huge audience. This mammoth of video sharing has wide variety of craft tutorials – paper crafts, embroidery, home decor, cool diy and more. 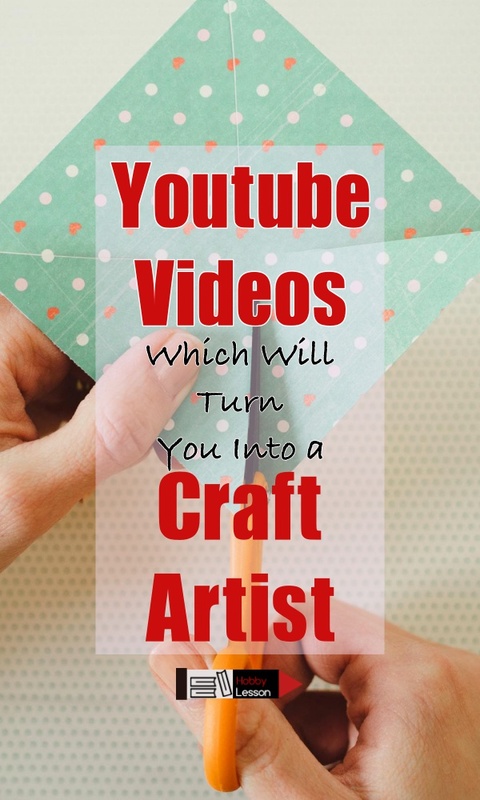 Do you spend hours on youtube looking for the best crafty videos to inspire and motivate you or the best craft projects to impress your special ones, here are Youtube Videos Which Will Turn You Into a Craft Artist. Let’s study some chemistry to make amazingly shining crystals for your jewelry. In a test tube, mix Chrome alum – KCr(SO4)2 and water, give it a stir and let it sit for the next 24 hours. After an entire day, throw away the solution, but wait, you’ll find some beautiful crystal settled at the bottom of the test tube. Use them to make your own earrings or pendants. Friendship band is such a strong connection to tie your bestie close to your heart. Use icecream sticks for this diy, boil some sticks for 10-15 minutes. It will make them soft and elastic. Bend them a little and fill it around the corners of the glass, this will help them retain a bracelet type structure. Let it stay inside the glass for 3 hours. As time passes, it retains a circular band like shape. Decorate it with washi tape, your friendship band is ready! The soft glow of yarn balls light string adds a touch of whimsy in everything, from bed canopies to shelves and bookcases. Whether it’s a Christmas decor or string light in your house, let those light shine in the most gorgeous way possible with colourful yarn balls. Drench yards of yarn in glue, wrap it around a water balloon and let it dry for 1-2 days, pop the balloon and the yarn will retain the shape of the balloon. String these balls with fairy lights as they stir the hearts when the days grows darker. No obscure supplies or insane skills are required for this diy, all you need to be a craft expert is a glue gun. *Hi-five* if you believe that jewelry making is impossible without glue gun. For making a glue gun necklace, you need no embellishments – no beads, no pearls, no stones, just the glue gun itself. Make beads with the glue gun and form a necklace, let it dry, now spray paint it to have an awesome jewelry. Wondering what to do with water beads? In case you don’t know what water beads are, these are small beads that swell when soaked under water, they need hydration to retain their shape. You can make a soft jelly bag or slime to play with,from these water beads. In a bottle of water, soak water beads for a week, the water absorbing polymer will grow to full size. Take a balloon and through the neck of bottle, try transferring the water beads to it, tie the knot as soon as the balloon is full. Here, you your own jelly bag! Keep it away from the kids,since they’re not for eating. Take a moment before trashing the old party paper cups, we’re going to use them in a special way. Best out of waste, they say! Upcycle them and Cover plastic/paper cup with yarn, each cup having different colour of yarn. Make a hole at the bottom using bamboo skewer and string them together to make a garland. Or you can even embellish the cups with fabric, crepe paper, sequins. Who knew this fun science experiment can turn you into a craft artist in no time, apply science in daily life, as our teachers always said. Trust me, this diy is not difficult like the science, don’t get scared. Mix hot water (3 cups), borax (9 tbsp) in a clear glass. Make a heart using pipe cleaner and dip it inside the solution for few hours, it will allow large crystals to form on them. Drinking straws are no longer just for sipping martinis and juices, you can actually make some seriously cool diy for decor and for kids. When it’s summertime, kids start whining and chanting “I’m bored”. While these drinking straws quench their thirst during summers, it also is a cool solution for playtime. Create a maze of any complexity using straws inside a shoe box, a marble to complete the race. This cool diy is perfect for vacation coming up. There are almost hundreds of ways to make a unique candle stand, for a pro tip, considered reusing waste material to create the best out of it! Paint 20-30 plastic forks and spoons head with different colour each. Arrange them in a circular pattern, like a mandala- make layers of fork on the outer and layers of spoons on the inside. At the centre, place a candle. This candle holder looks so beautiful, the painted forks and spoons shine as they candle light lit them. Keep your favourite pair of sunglasses away from scratches, or worse a crack, by making a cool case for them. Tear a part of your old jeans and embroider simple running and chain stitch on it, with simple blanket stitch fold the edges and sew it. You can begin with any pattern you desire, circular or rectangular,the cute little case is ready to store your glasses. Besides jeans, any printed cloth material will do the same job. Who knew how those innumerable old rags and stuffs lying around some corners of your home would be used and recycled to make these wondrous creations via Youtube Videos Which Will Turn You Into a Craft Artist.